A bright and cozy room facing east overlooking the garden. 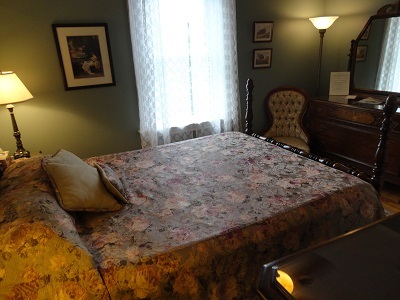 The antique Queen size bed is comfortable and restful. The four piece private bathroom is just a step across the hall. 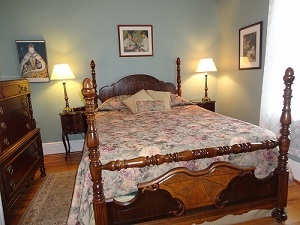 All rooms share our upstairs sitting room complete with television, library and servery with small refrigerator. Tea and coffee, bottled water and soft drinks are available. A balcony leads down to the garden and patio.